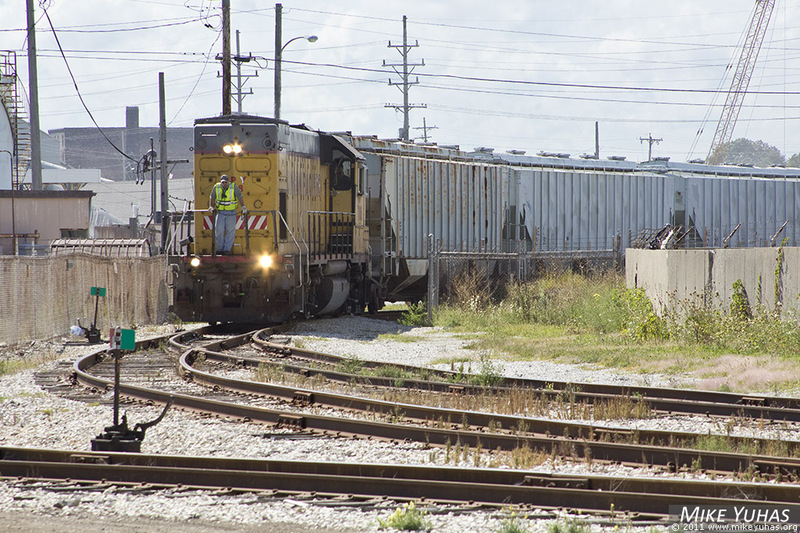 UP's Marsh job treads gingerly with loaded covered hoppers over Port of Milwaukee trackage. Usual route for these AEX cars is to shove them up the southernmost Jones Island track to the lake yard; because that's obstructed today, they're taking an alternate route, which will put them by the sewer plant. Fortunately, the Port's tracks are laid out to allow for such flexibility. Conductor Jeff rides the porch of UPY GP15 708, ready to jump off and re-line switches as required.